Last edited by manguan on Tue Jan 08, 2019 6:13 pm, edited 2 times in total. 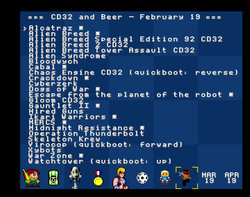 Added missed game "8bit-Slicks". Tnx for Manguan for report. Replace all files from archive after download. Now it has 7661 of games. It is best to reset all settings, and clear the older registry entries. This can be done from the main menu. 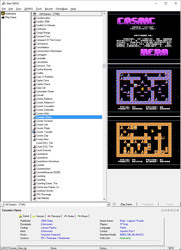 # an INI file was created and included, so it will run in portable mode. # Ignore these instructions if the gamebase works. # If not, delete the Altirra.ini file and read on. from the MENU select TOOLS, First time setup. click Scan folder for firmware images. from MENU select TOOLS, OPTIONS, ERROR HANDLING. check - Cold Reset Simulation. Night Driver - no car gfx. actually the game version you downloaded and linked to the GameBase. newer game that needs updated firmware will not work yet. .mad. 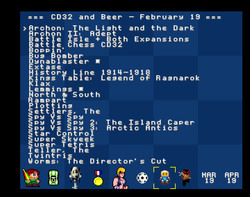 is working on update v13.6 to this great compilation! 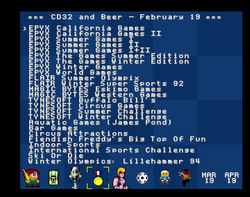 NOVA64 front end (https://csdb.dk/release/index.php?id=172356) which also has features to run the images on both emulators and real C64s. of history, OUR history. We will try to release updated versions of this archive regularly as we progress in the task of testing, cleaning and editing scans of the releases we acquire. Only images from known sources are included in this archive. We hope you will have fun and find lots of great memories! Download active for a week ONLY! You may share this if You want to. You may also create ready to run compilation with these tapes and photos/scans. Approx. 2 weeks ago .mad. 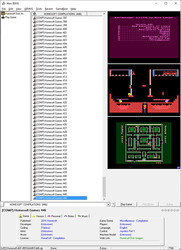 sent me his latest update to Atari 800XL. I've tested it for a while, then customised GBsetter for this compilation. But because the compilation has some specific mappings, I won't provide my mappings (which are the same as in the rest of GB compilations), neither display changes (filters), neither fast/slow loading speed switches (Pleasure/Retro Mode), to not interfere with original concept of great .MAD. It needs more tests and understanding of .mad. 's idea, which I don't finished it yet . But the compilation will be fully playable and EVEN GREATER than previous versions. 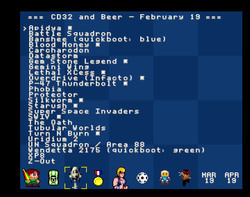 It contains 7745 of Atari 8-bit games! 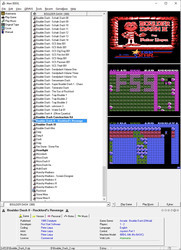 It also contains my additional filters: "Boulder Dash", "Homesoft Compilations", "Robbo" and "Polskie" - for these games, but You may delete these if You don't need it. It will also contain the Homesoft Compilation 446, which I've added a while ago. 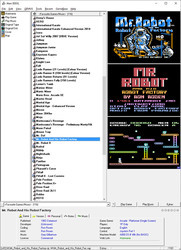 This is Amiga compilation with selected multiplayer games. Made by EAROK of EAB forum. Great selection of games for every Amiga fan! You may play these games with Your friend/wife/kid... Definitelly recommended! 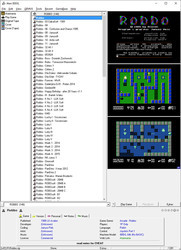 Gamebase Atari 800XL v14 RELEASED! I've released this compilation as SFX archive. 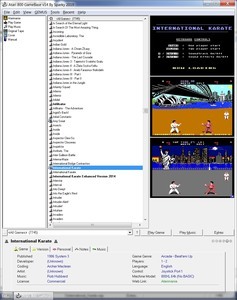 Just execute .exe to unpack it (if You don't believe me, check downloaded files with Your favourite AV software) then copy "Atari 800XL" directory to the folder, where You have rest of Your Gamebase compilations. Updates, script improvement and plenty of testing was done by great .mad. (cheers, bro!). I've also updated it up to 2018.02.27 (incl. Homesoft disk nr 446). atarionline, retro-within, indieretronews, homesoft, gury.atari8.info, VBXE games. Link active for a week ONLY! Here's the small verify text....Could you up them please? Heathcliffe - "Fun with spelling.cas"
Last edited by .mad. on Fri Mar 01, 2019 4:03 pm, edited 1 time in total. Amazing work again. Thanks a lot. 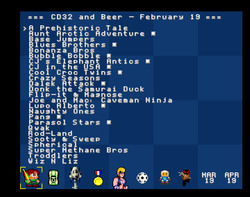 Many new working games and tagged all of them. The tapes were not in the gamebase archive, I immediately searched the whole 800XL dir with Directory Opus in case they were in the wrong place. 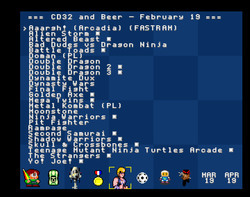 Not a problem and thank you for them, The Colossal Adventure tape and Heathcliffe Fun with Spelling were not included in the files you upped but I did have the Heathcliff tape but as per the thread on Atari Age about getting it working, I still could not get it to work in the cas version..
Oh well, that and the adventure I have as disks so no problem there..